Ubuntu Management Group-Allen, Collins & McCormack Play Big Role in Eastwood's Release! Allen, Collins & McCormack Play Big Role in Eastwood's Release! 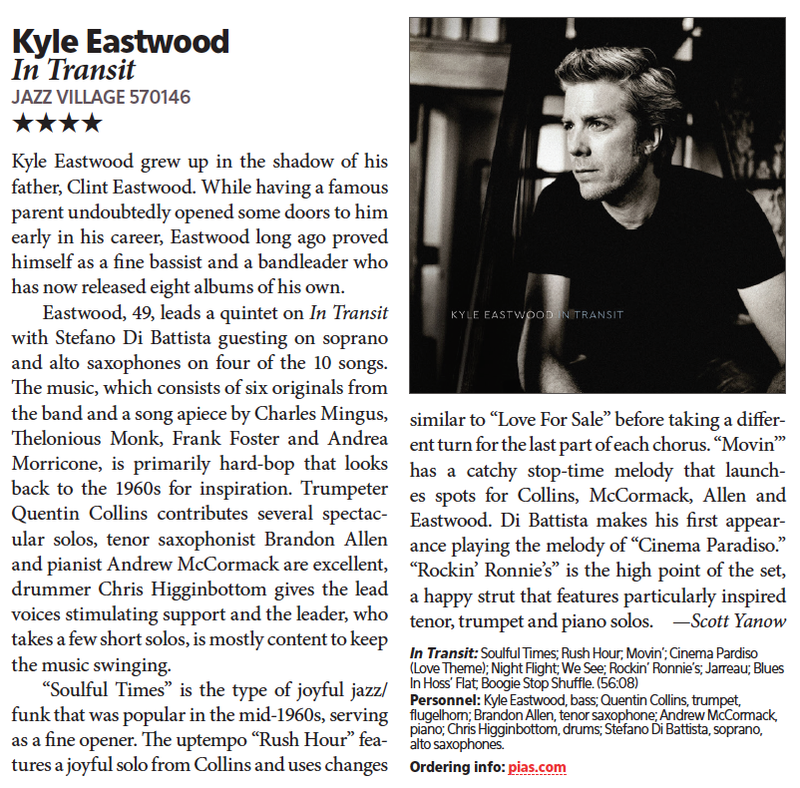 USA's Downbeat Magazine gives four stars to Kyle Eastwood's latest album!